← How to search scanned PDF? PDF to Word OCR Converter can not only help you convert normal pdf files to text files, but also can help you search scanned pdf file in text format. And this article aims to show you a method to convert pdf to text based on scanned pdf file in Windows platforms. 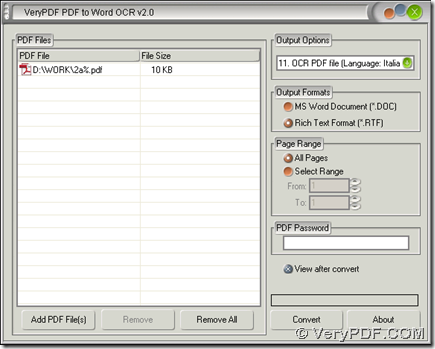 To own PDF to Word OCR Converter right now, please click here. To install PDF to Word OCR Converter, please double click installer downloaded just now, then follow setup wizard step by step till it is successful to install PDF to Word OCR Converter on your computer. At last, you need to save and produce text file with one click on “Convert” button on interface of PDF to Word OCR Converter. Then after you select a folder in dialog box of “Save As”, please click “Save” there so that your text file can be added into targeting folder on your computer, and you can continue to edit scanned pdf in text after conversion of pdf to text. 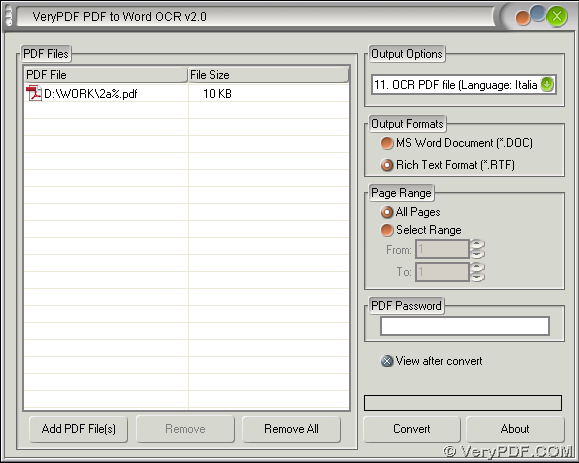 By now, to know more of PDF to Word OCR Converter, please click here. To get perfect solutions on questions about how to search scanned pdf in text with conversion of pdf to text, please leave your comment here, we will give you a quick reply. How to convert scanned PDF to Editable Word? This entry was posted in PDF to Word Converter and tagged pdf to text, scanned PDF. Bookmark the permalink.